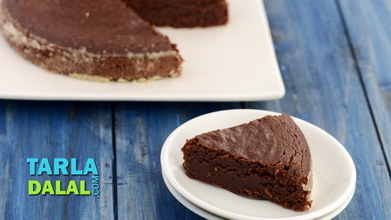 The Marble Cake is a lusciously spongy cake with the rich and delicious aroma of condensed milk and vanilla, laced with portions of intense dark chocolate cake. 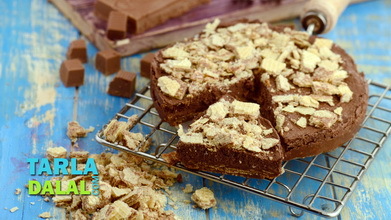 The contrasting flavours give the cake an attractive appearance and irresistible flavour, which can be enjoyed as such as with a topping of ice-cream and hot chocolate sauce! Grease a 150 mm. 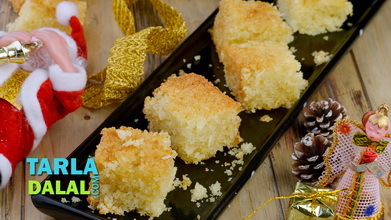 (6”) cake tin with melted butter, dust it with plain flour and sift to ensure uniform distribution of the flour. Shake and remove the excess flour. Keep aside. Sieve the plain flour, baking powder and baking soda in a deep bowl and keep aside. Add the sieved plain flour mixture and approx. 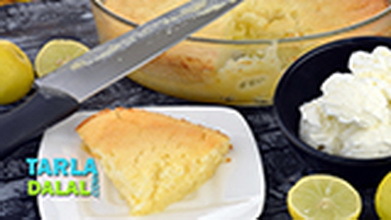 9 tbsp of water and mix gently with the help of a spatula to make the vanilla sponge batter of a dropping consistency. Keep aside. 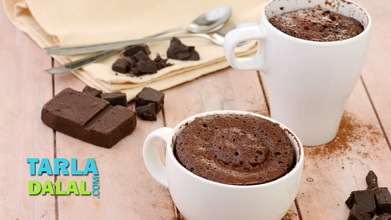 Combine the dark chocolate and milk in a microwave-safe bowl, microwave on high for 30 seconds and mix well. 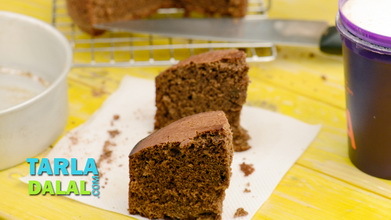 Add ½ cup of vanilla sponge batter and mix very well to form a chocolate sponge batter. 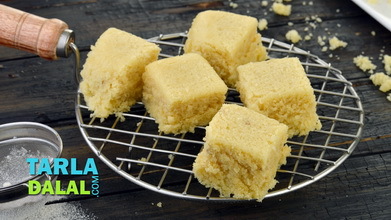 Divide the remaining vanilla sponge batter into 2 equal portions. 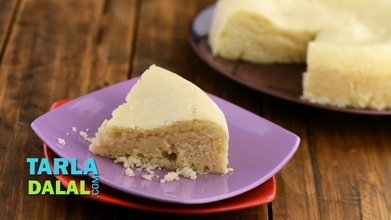 Pour one portion of the batter into the greased and dusted cake tin and spread it evenly. Pour the chocolate sponge batter in the center. Pour the remaining vanilla sponge batter on top of the chocolate sponge layer and spread it evenly. Take a fork, pass it through the batter till the bottom and create circular swirls throughout without lifting the fork. Bake in a pre-heated oven at 180°c (360°f) for 40 minutes till the cake leaves the sides of the tin and is springy to touch. Keep aside to cool for 15 to 20 minutes. Once cooled, invert the tin over a rack and tap sharply to unmould the cake.